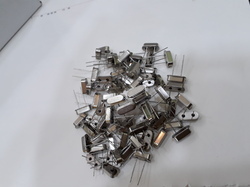 These crystals are widely used in computers, VCD (DVD), Telephones, communication products and other electronic products. Shunt Capacitance C 7.0 pF Typ. . Looking for Crystals & Oscillators ?